Jeremy Corbyn is expected to decide within days over whether Keir Starmer will be allowed to take up a controversial job advising a major law firm while remaining in the shadow cabinet. Corbyn is likely to have a say on the role shadow Brexit secretary Starmer is discussing with major law firm Mishcon de Reya. Starmer, who has been tipped as a future leadership candidate, yesterday provoked frustration among Labour members when The Lawyer magazine revealed has been in talks with the former director of public prosecutions over a consultancy role at the firm. The job would be at the legal group’s academy rather than advising clients, it is believed. 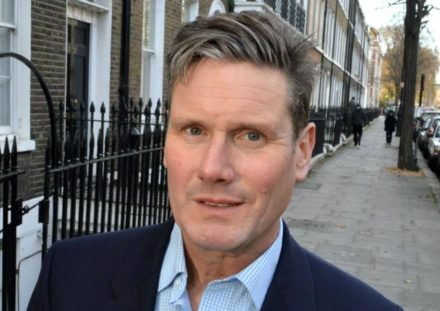 Tory MPs have raised questions because Starmer was last month appointed to the Privy Council, which allows him to receive privileged briefings on Brexit. Mishcon represented article 50 campaigner Gina Miller in her High Court case against the Tory government, as well as Diana, Princess of Wales, more than 20 years ago. Last night Tory backbencher James Cleverly accused Starmer of a “potential conflict of interest”. LabourList has approached Starmer’s office and Mischon for a response. Mishcon told Sky News: “We are in discussions with Keir Starmer about reappointing him as an adviser to the Mishcon Academy.